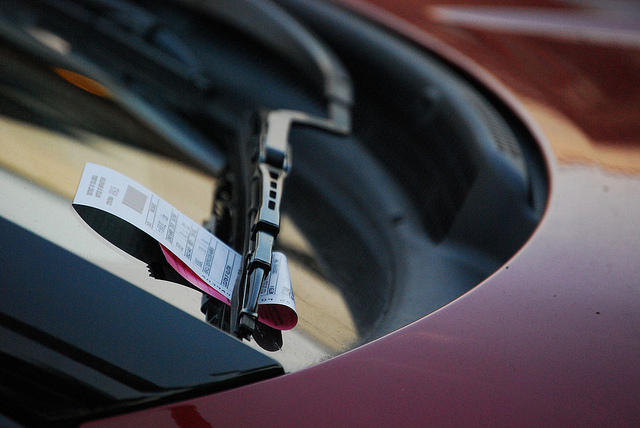 PoPville » Dear PoPville – Social Security Number on Parking Ticket?!? I had parallel parked on a residential block of 11th street NW in a spot that was apparently reserved for a handicapped person that lived there. I did not see the sign (it was dark and I wasn’t looking for it, because I didn’t realize that a personal reserved handicapped spot was a thing–dumb, I know). When I came back to my car, I saw the $250 ticket, which was a gut punch, worsened by the fact that there was a free spot right in front of me. I thought that was the worst of it, but as I studied the ticket (which was sitting on my windshield, face up, with no envelope, for all to see), I saw that it not only had my first, middle and last name, my address, my date of birth, my home address, and my license plate number, but it also had MY FREAKING SOCIAL SECURITY NUMBER ON IT! This seems like a massive privacy violation, not to mention incredibly stupid (and I think illegal) due to the HIGH RISK that anyone walking by could easily steal my identity or use the information for other ill purposes. I saw online that a class action lawsuit was successful, ruling that police departments that put too much information on parking tickets are violating privacy law–and that case didn’t even involve a social security number! Has this happened to anyone else? Is it common/legal? Does anyone have advice of how I should proceed in reporting and possibly litigating this? Ed. Note: When I first got a DC drivers license in ’97 we had our Social Security number printed on the card, later this was removed and replaced with a random number. Never heard of one on a parking ticket before.